Tollywood legend Chiranjeevi was born on 22nd August 1955 in Mogalthur village, Andhra Pradesh state. 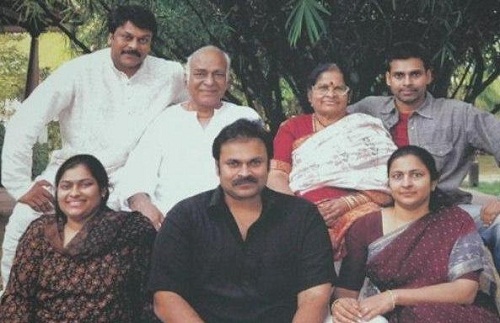 His birth name is Konidala Siva Sankara Vara Prasad but on his mother’s advice he changed his name to his family diety Anjaneya, who is also known as Chiranjeevi. During his school days he was a well disciplined NCC cadet and had the honour of participating in Republic Day Parade held in New Delhi. He attended C. S. R. Sarma College, Ongole and Sri Y N College, Narsapur. After completion of his graduation he went to Chennai to join Madras Film Institute. 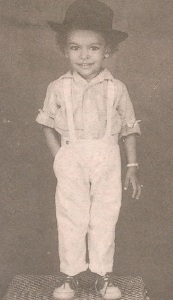 He started his film career in small role with Pranam Khareedu in 1978 opposite Rao Gopal Rao, Chandra Mohan and Jayasudha. 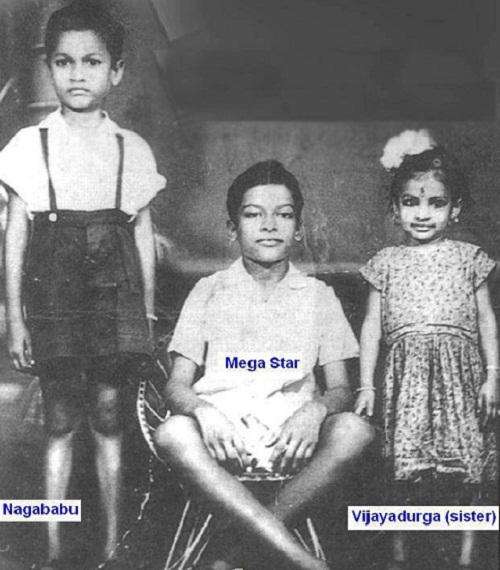 His first lead role was in Intlo Ramayya Veedilo Krishnayya in the year 1982, the film did well at box office. His career took big boost after blockbuster hit Khaidi in 1983 opposite Madhavi and Sumalatha. He later worked for hits like Pasivadi Pranam, Yamudiki Mogudu, Manchi Donga, Jagadeka Veerudu Atiloka Sundari, Kondaveeti Donga, Raja Vikramarka, Gang Leader etc. His recent commercial hits are Indra, Tagore and Shankar Dada MBBS. He was honoured with Padma Bhushan Award in 2006 respecting his contribution to films. 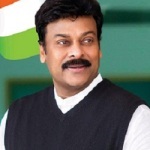 He founded Praja Rajyam political party in Andra and later in 2011 he merged it with Indian National Congress. 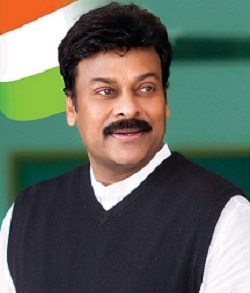 Apart from films he involves in humanitarian work with Chiranjeevi Charitable Trust established in 1998. 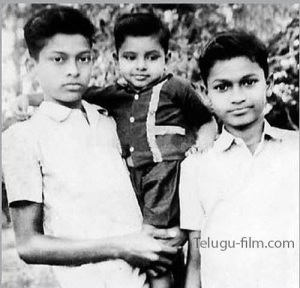 His father Konidela Venkat Rao was as a police constable. 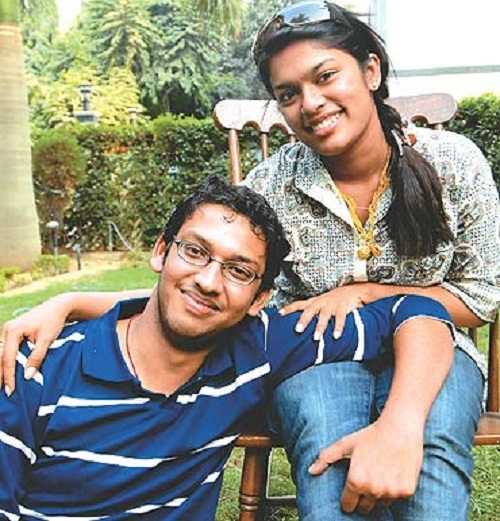 His mother Anjana Devi was a house wife. 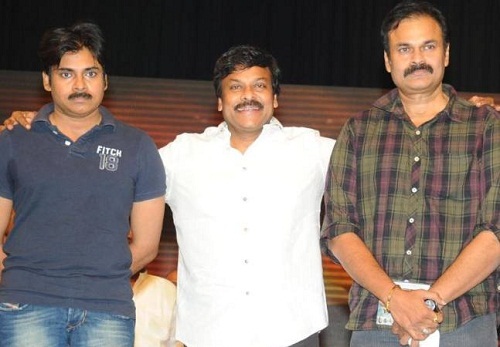 Film maker Nagendra Babu is Chiranjeevi’s younger brother. Tollywood star Pawan Kalyan is his youngest brother. Chiranjeevi has two sisters named Vijaya durga and Madhavi. 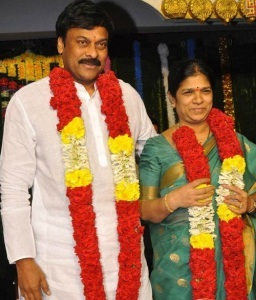 Chiranjeevi is married to Surekha Konidala since 1980. 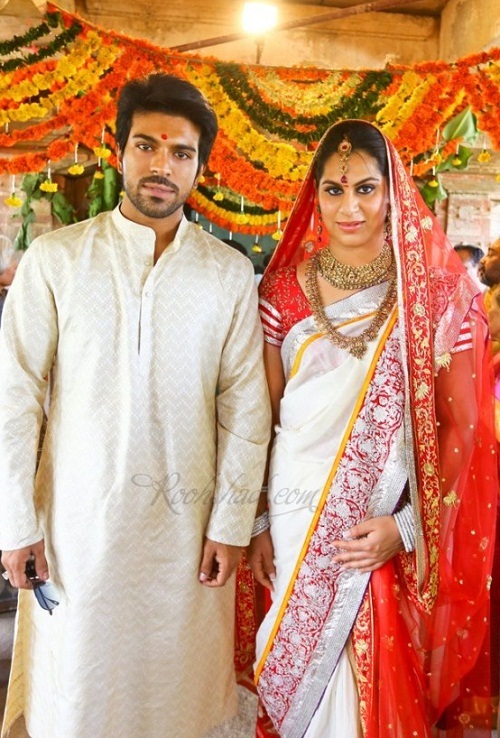 His son Ram Charan Teja is also an actor who made his film debut with Chirutha in 2007. He married Upasana Kamineni on 14th June 2012. Upasana Kamineni is the granddaughter of Prathap C. Reddy, Chairman of Apollo Hospitals. 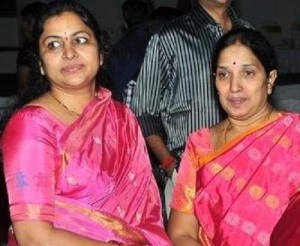 Chiranjeevi has two daughters named Sushmita and Sreeja. Sushmita is married to Vishnu Prasad since 2006. 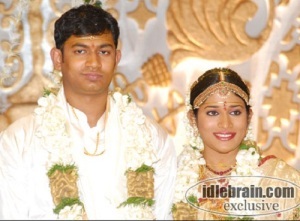 Sreeja married Sirish Bharadwaj in 2007 and the couple broke up in 2014.